There are many pros and cons to using an iPhone to take pictures. In contrast to a DSLR camera, when using an iPhone, or any iOS platform, there are three things you cannot control. Those include: ISO (how much light can stay in the picture), Aperture (how much light goes through the hole), and Shutter Speed. With these limitations, the iPhone does not take great action photos. It does, however, take awesome still life photography! Every photo of France that has been previously posted on my blog was taken with my iPhone. When using iPhones you have to take light into consideration. Generally speaking, iPhones don’t work well in dark areas. One tip I found helpful was to shoot with light from the side because the iPhone sometimes processes shadows better than light. Another tip I want to pass along is zoom with your feet, not your phone. When you use the zoom on your phone it simply makes your photo fuzzy and it isn’t very appealing to the eyes. When taking award winning photography, composition is key. I like to follow the rule of thirds. 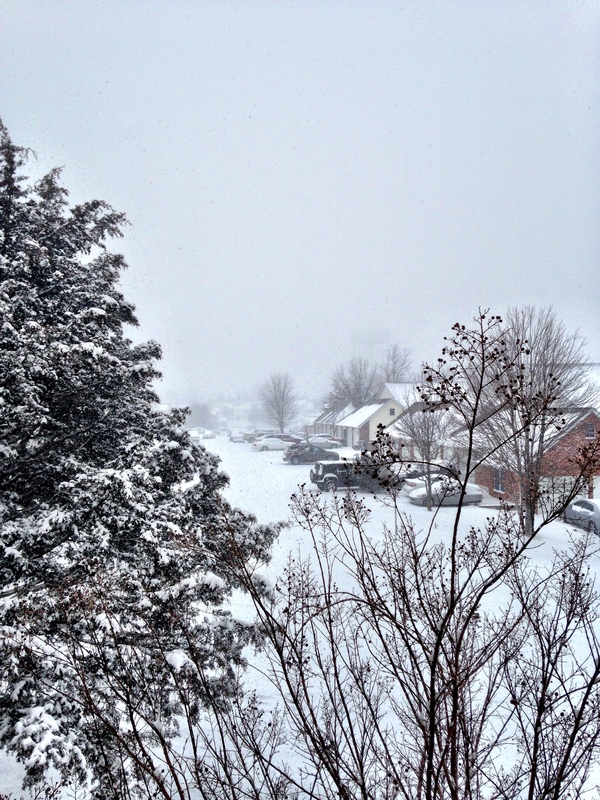 If you look below at the picture I took this snowy afternoon you notice that the trees are not placed in the center of the photo. If that were the case, it might be pretty boring to look at. Instead, using the rule of thirds, I placed the trees in the outer edges of the frame. I also used the concept of layers, or idea of rows. Each tree makes up a different layer giving a sense of depth and the final layer consists of the houses and the snow covered street. Notice as you look at the photo your eye bounces between the layers. The street also acts as a leading line and directs your eyes to the snowy overcast. It makes the photo more captivating because it’s almost interactive. It gives your eyes somewhere to go, rather than being static looking at a subject that is stationed in the middle of the frame. I like to use camera+ because with this app you can pull up grid lines on your phone to help with the composition, especially for amateur photographers, like myself. Stay tuned for my “Seeing Red” themed photos to be posted soon!